Here are all the parts of the Constitution Trump’s Muslim ban violates. All the many ways Trump’s Muslim ban goes against the Constitution. 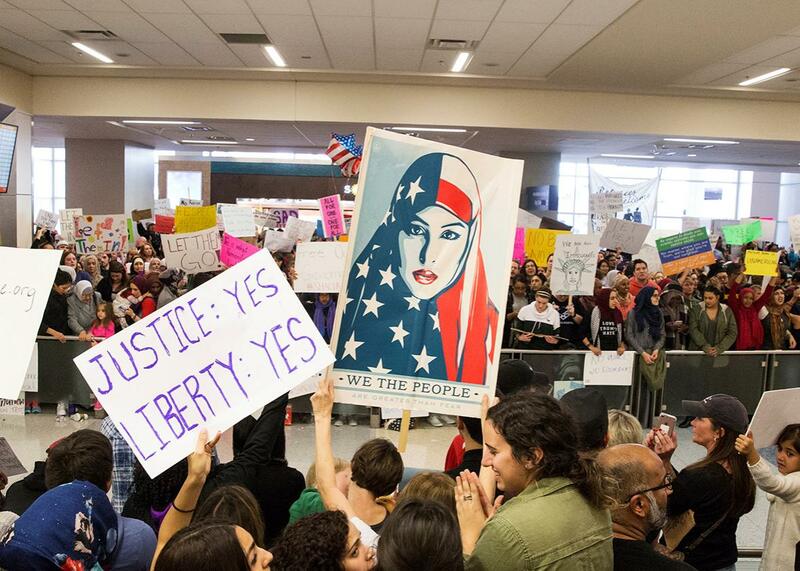 People protest against the travel ban imposed by President Donald Trump’s executive order at Dallas/Fort Worth International Airport international arrivals gate on Sunday.